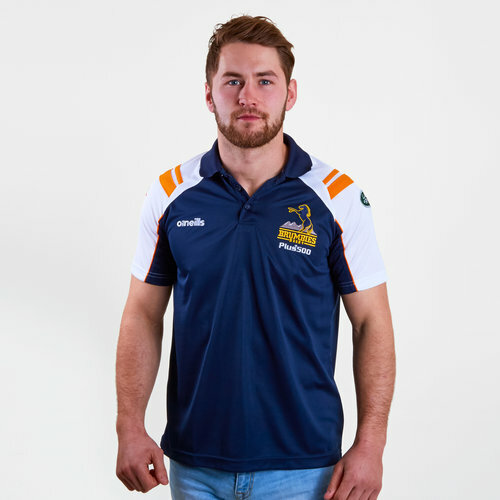 Cheer on the Canberra based side at the GIO Stadium or in training when you pull on this Brumbies 2019 Super Rugby Titan Brindle Polo Shirt from O'Neills. Just like train this polo is navy with white and gold detailing. It has bene crafted in a soft to touch fabric ti keep you feeling comfortable. In true polo style this shirt has a collar and 3 button placket.